a veteran in the HVAC industry with close to 45 years of experience, he has helped Astic to scale new heights making it one of the market leaders in its segment. What started as a company focused in HVAC industry has today spread its wings into other sectors like Building Materials & Oil & Gas, STEEL & Ducting.ASTIC General Trading L.L.C. was started with the idea of bridging the gap between HVAC contractors & manufacturers. Over the years, ASTIC’s distribution network has crossed boundaries & spread across the Middle East, South East Asia, Africa, North America & Australia. What started as a company focused in HVAC industry has today spread its wings into other sectors like Building Materials & Oil & Gas. We believe that the only constant in life is Change. 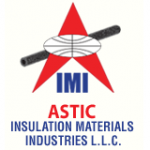 And it is this constant need to evolve and to keep with the pulse of this ever-booming industry that has enabled us to diversify into manufacturing with our venture ASTIC Insulation Materials Industries (AIMI). With facilities located in DIP, AIMI’s Insulation division caters to high tech insulation which includes fabrication and computerized cutting for Cellular/PIR/PUR foam products along with fabrication of Pipes, Bends etc. In addition, we also undertake A/C Duct Fabrication, under the belt of ASTIC’s very own maiden brand ALFA. As a specialist manufacturer of HVAC Ductwork, ASTIC proudly continues to increase its product range by adapting an innovative approach to add value to our products and in turn transfer the value to our customers. Our range of products for Duct Work includes (GI, SS, & MS) VAV/VCD/ Sound Attenuators amongst many others. Over the years, our reputation has been built on our core values, Quality, Trust and Customer Service and Social Responsibility. This strong foundation has helped us to gain the confidence of our suppliers and customers alike which has helped ASTIC flourish. Today along with all our partner brands as well as our own ALFA, we intend to continue with this promise of serving our customers with quality products at a competitive price ensuring highest customer satisfaction. We would also like to take this opportunity to thank all our principals, suppliers and customers alike who have extended their relentless support through the years. We assure you that in the coming years we will continue to strive for excellence which has truly been the stepping stone of our success.